It was a dank morning in Rome which was fitting considering the fuzzy heads of some of the team from the day before where we'd spent the day before visiting our friend Sara Levi at the American Academy in Rome, where we'd been treated to an awesome lunch by the Academy trainees, and then on to dinner with Rachel Roddy at the famous Cesare Al Casaletto, followed by a less celebrated Roman watering hole to while away the early hours. Still, there was little grumbling and we were surprisingly ahead of schedule, ready for Conor to battle rush hour in Rome. On our way out of Rome the following day we only got lost a couple of times, and after 30 minutes of close shaves and a couple of eggy Romans, we were on the the auto-strada heading North to Tuscany. As we started the gentle ascent into the Val d'Orcia, the scenery changed into that unbeatable Tuscan vista of roaming hills, made even more beautiful for the rufous and gold of autumn with pockets of ever green bursting through. 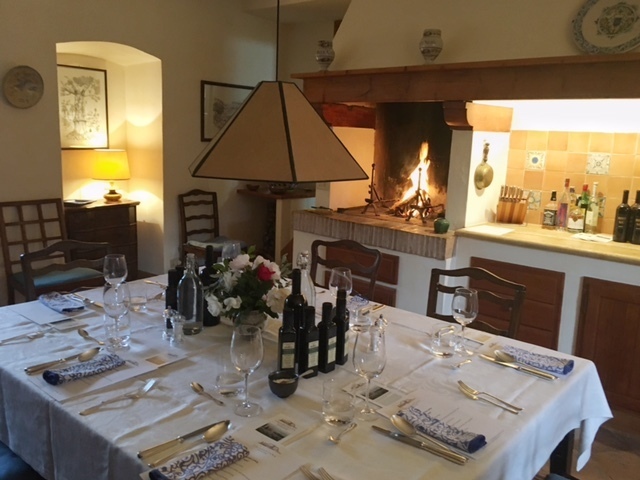 We arrived just before lunch time at Chiarentana Estate hosted by the owner and our friend Donata Origo, for one of the most anticipated weeks of the year; our annual tasting and food paring of their new season olive oil. Before lunch, Donata enthusiastically gave us a short tour around the central part of the estate. 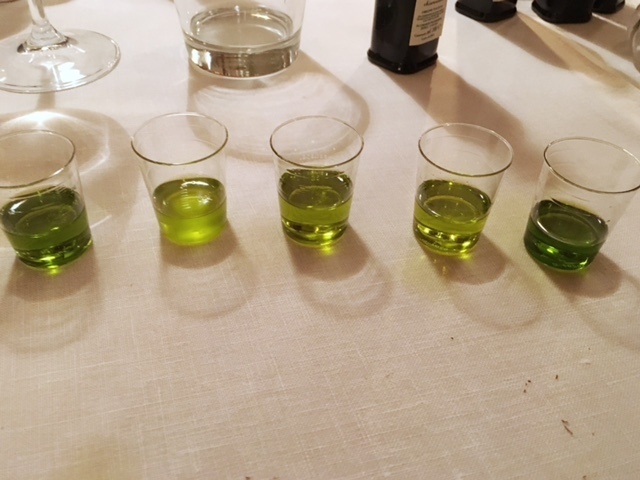 Chiarentana produce 6 blends of olive oil which is pretty unique in the world of quality single estate olive oil producers, most have 2 or 3 maximum. Donata's set-up is also unique in her category because she owns the equipment required to harvest, separate, clean, press and filter all on the estate. This means the olives that have painstakingly and lovingly been nurtured over the decades have every opportunity to retain their dignity because once they are picked, there is very limited transportation and interference allowing the fruit to stay in peak condition. 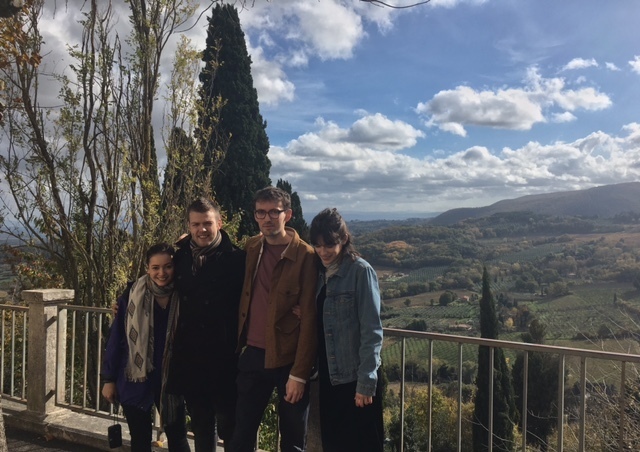 Donata and her team also have total control over their production methods rather than having to share in a mixed use 'one fits all' situation in Montepulciano, and as Donata proudly explains, the olive oil is produced in under 4 hours from when the olive is picked! As you can imagine, all of these personalised processes and methods result in a superior product and the 2017 harvest is poor in yield but exceptional in flavor - lucky us! We're treated to a wonderful 5 course Tuscan lunch paired with emerald and gnarly fluorescent green oils pressed that week; creamy zolfini beans, zingy and fresh Florence fennel, orange and fresh pecorino salad and simply steamed baccala for anti pasta, then a classic pappa al pomodoro for primi followed by porchetta and finishing off with tiramisu. All totally delicious and taken to new heights with olive oils and their signature robust Tuscan flavor profiles of artichoke leaf, green tomato and fresh cut grass with a spicy and peppery finish that is almost too intense on the pallet but as it sinks down your throat the viscosity dilutes and sits content, shimmering in ones belly. It is the heartbeat to our cooking and we can't wait to get them back to the kitchen and share them with you.